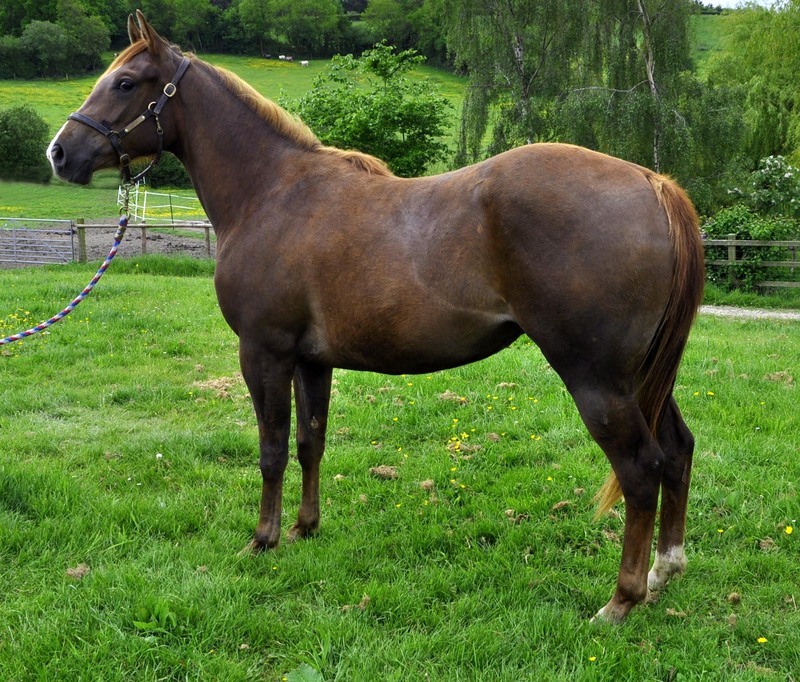 This pretty little liver chestnut filly is very friendly, well handled and easy to do. With her very impressive reining pedigree she could make an excellent riding pony/brood mare. Fancy leads, loads and is good with the farrier, but not started, hence the price asked.